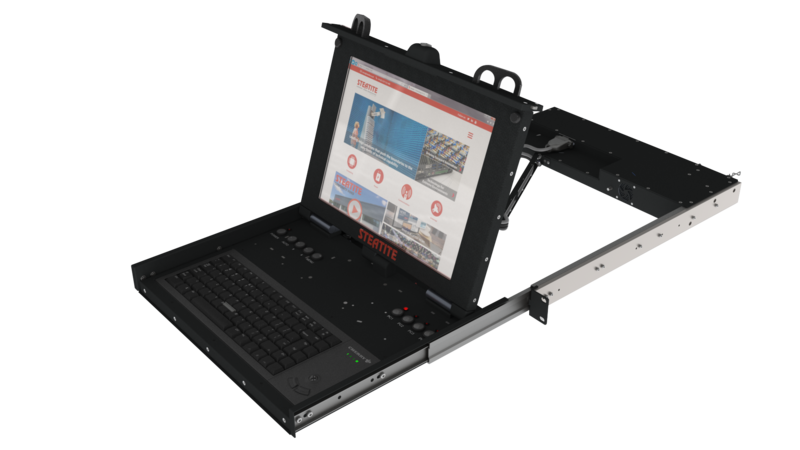 Steatite’s latest generation, high performance rack 4 port TEMPEST KVM, utilising our extensive experience of computing technology for military, defence and security applications. Designed to meet MIL-STD-810G standards for shock and vibration, the small 1U form factor encompasses a 1024 x 768 LCD display and 4 port secure USB / VGA combined switch. 1 Octave / Minute, 2 Hours In Each Axis. Products from this range have been designed to meet SDIP 27 Level B.